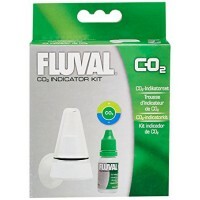 Give your aquarium optimal levels of carbon dioxide with Fluval CO2 Ceramic Diffuser. Give your aquarium optimal levels of carbon dioxide with Fluval CO2 Ceramic Diffuser. Carbon dioxide is essential to growing lush, healthy freshwater plants, but the dissolution process is very slow and not all molecules remain dissolved. 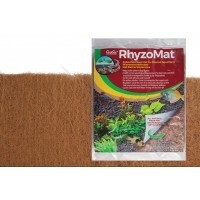 It is ideal for use in planted nano aquariums including Fluval's Flora Aquatic Plant Kit. 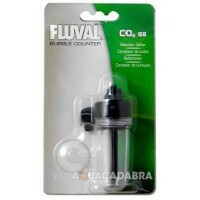 Provides optimal levels of carbon dioxide, helps effectively dissolve CO2 into the aquarium. 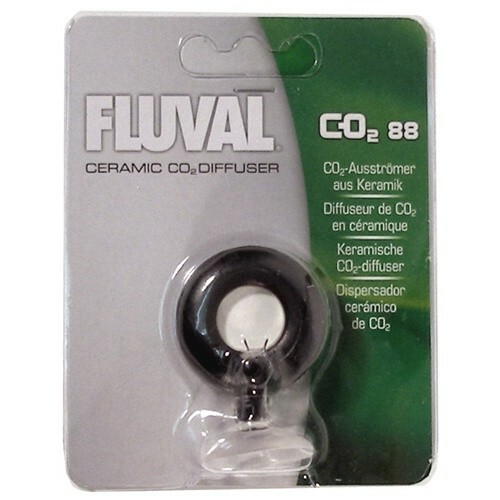 Replacement Ceramic CO2 diffuser designed for use with the Fluval Pressurized 88 g CO2 Kit.